Is there a human metaphor here somewhere? What would happen if we combined synthetic and biological systems, creating an intelligent cyborg rat? How would it perform? Researchers in China decided to find out by comparing the problem-solving abilities of rats, computers, and rat-computer “cyborgs,” as they reported in an open-access PLOS ONE paper. Rats: Six rats were trained for a week to run a series of unique mazes. After training, the researchers tested the rats on 14 new mazes, monitoring their paths, strategies and time spent solving the mazes. Maze-solving computer algorithm: Implementing left-hand and right-hand wall-following rules, the algorithm completed the same 14 mazes run by the rats. 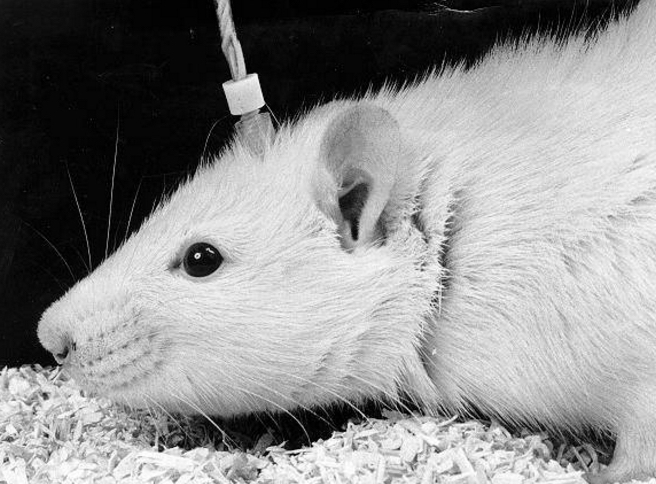 Rat cyborgs: The rats were implanted with a wireless microstimulator mounted on the back of the rat to deliver electric stimuli via microelectrodes into their somatosensory cortex and medial forebrain bundle, which releases dopamine to the nucleus accumbens and is a key node of the brain’s reward system. 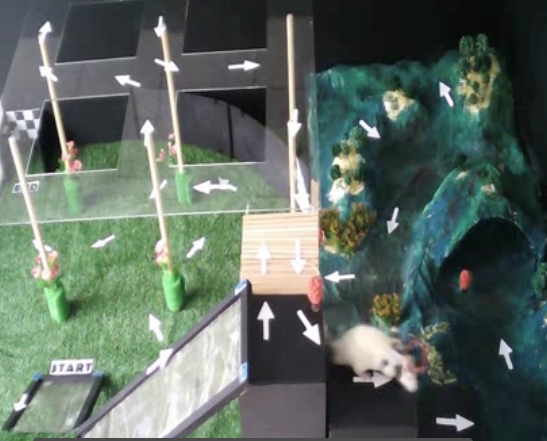 The computer tracked the rats, analyzed the explored maze information, and decided when and how to intervene when the rats needed help in traversing unique paths and avoiding dead ends and loops (by stimulating the rats’ left and right somatosensory cortex to prompt them to move left or right). The researchers suggest that the experiment shows that optimal intelligence may reside in the integration of animals and computers. * The computer aided the rats under three rules: (1) if there was a path to the unique road, the computer would find the shortest path, then Left and Right commands would be sent to navigate the rat to the unique road; (2) if the rat was going to enter a dead cell, Left or Right commands would be sent to prevent such a move; (3) if the rat was in a loop, the computer would find the shortest path to the current destination, then Left and Right commands would be sent to navigate the rat to follow the path. Cyborg intelligence is an emerging kind of intelligence paradigm. It aims to deeply integrate machine intelligence with biological intelligence by connecting machines and living beings via neural interfaces, enhancing strength by combining the biological cognition capability with the machine computational capability. Cyborg intelligence is considered to be a new way to augment living beings with machine intelligence. In this paper, we build rat cyborgs to demonstrate how they can expedite the maze escape task with integration of machine intelligence. We compare the performance of maze solving by computer, by individual rats, and by computer-aided rats (i.e. rat cyborgs). They were asked to find their way from a constant entrance to a constant exit in fourteen diverse mazes. Performance of maze solving was measured by steps, coverage rates, and time spent. 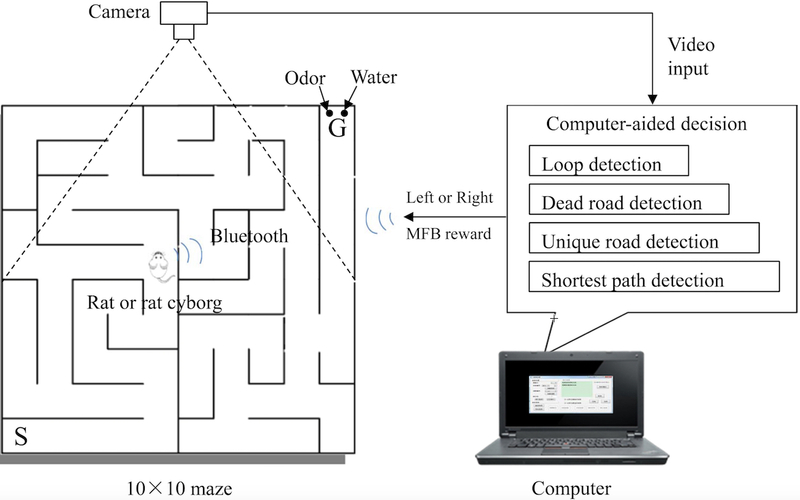 The experimental results with six rats and their intelligence-augmented rat cyborgs show that rat cyborgs have the best performance in escaping from mazes. These results provide a proof-of-principle demonstration for cyborg intelligence. In addition, our novel cyborg intelligent system (rat cyborg) has great potential in various applications, such as search and rescue in complex terrains.